A new report by the Public Religion Research Institute (PRRI) shows that religiously unaffiliated Americans now make up a quarter of the American population—making us, ironically, the largest "religious group" in the country. To its credit, PRRI dug deeper than some previous studies and explored the diversity of the religiously unaffiliated population. 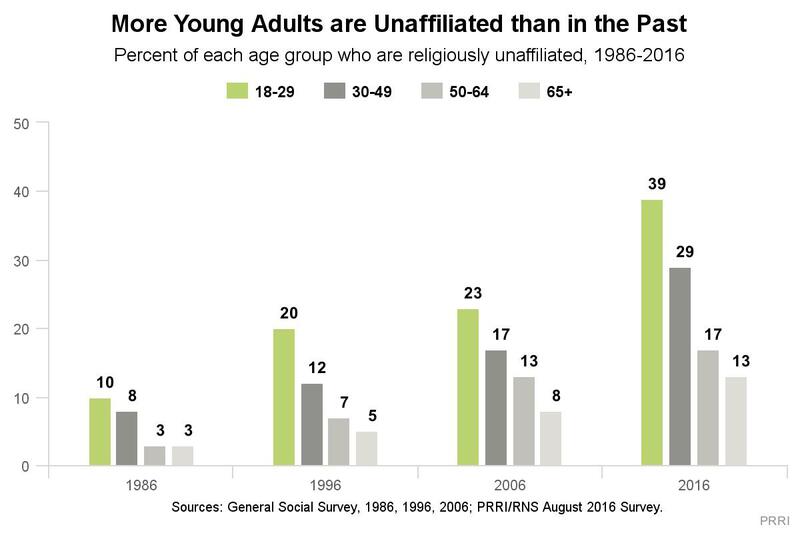 "Religiously unaffiliated" is not synonymous with atheism. in fact, only a third are atheists. Slightly more than a third (37%) of the religiously unaffiliated are actually deists, who believe in the existence of some higher power that does not regularly intervene in human affairs (what PRRI describes as the "impersonal force" view of god). And about 22% actually believe in God with a capital G, "a person with whom people can have a relationship," but are unaffiliated with organized religion. Religiously unaffiliated Americans are also less likely than religious Americans to link belief in God to moral behavior. Only about one in five (21%) unaffiliated Americans say it is necessary to believe in God to be moral and have good values. More than three-quarters (77%) reject this idea, including 61% who strongly reject it. Simply ceasing to believe in doctrine is by far the most common reason (and happens to be my own personal reason). 29% say that "negative religious teachings about or treatment of gay and lesbian people" played a role. Pro-life advocacy did not make the list of reasons people leave organized religion, except to the extent that it is part of the umbrella of "too focused on politics," which was the least common answer at 16%. There are two take-aways for the pro-life movement. First, the pro-life movement cannot effectively reach people of reproductive age with an exclusively religion-based message. 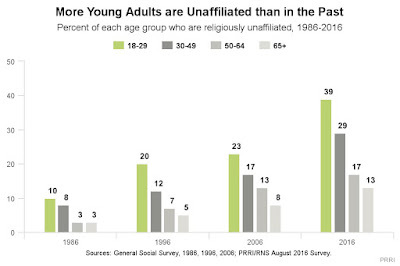 39% of 18- to 29-year-olds, and 29% of 30- to 49-year-olds, are religiously unaffiliated. They experience unplanned pregnancies too. "Pray to end abortion" signs aren't going to cut it. Secular Pro-Life has tons of free resources and videos you can use in your pro-life outreach.